The Missouri Military Academy Board of Trustees has named Brigadier General Richard (Rick) V. Geraci the eleventh president of the all-boys academy in Mexico, Mo. Originally joining MMA as chief academic officer in July 2016, BG Geraci was promoted to vice president of the academy on 1 July 2017 with a focus on academics, operations and planning. As the newly appointed president, he has assumed the day-to-day management of the academy, with full responsibilities and authorities, as of 5 February 2019. Prior to his arrival at MMA, BG Geraci was the president of Leavenworth Regional Catholic School System and principal of Immaculata High School. 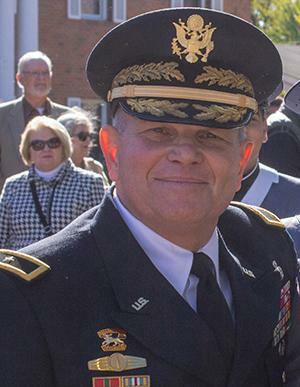 Geraci started his career in education as the 22nd commandant of cadets and dean of students at New Mexico Military Institute (NMMI) after retiring from the U.S. Army as a Brigadier General in 2005. He is a 1975 NMMI graduate and received his commission as an Air Defense Artillery 2nd Lieutenant. Geraci is a licensed school administrator and has a Master of Education from Eastern New Mexico University. He has a Bachelor of Science in Management from Park University, a Master of Arts in Management from Webster University, a Master of Science in Systems Management from Florida Institute of Technology, and a Master of Arts in National Security and Strategic Studies from the U. S. Naval War College. In the U.S. Army, he held a variety of staff and command positions in Army Air Defense and the Space and Missile Defense Command. See a full bio here.